A carrot by the sea! 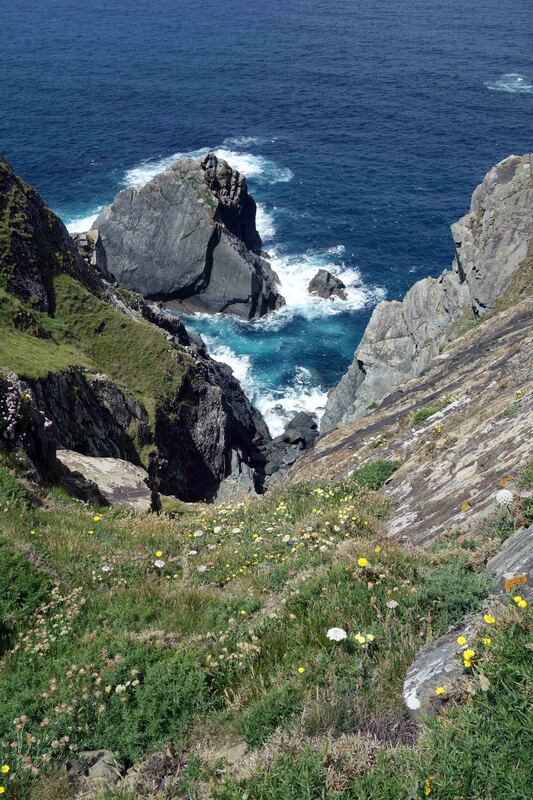 This attractive member of the Carrot family (Umbelliferae) grows near the sea on rocky cliffs and headlands. Perhaps it likes the views! 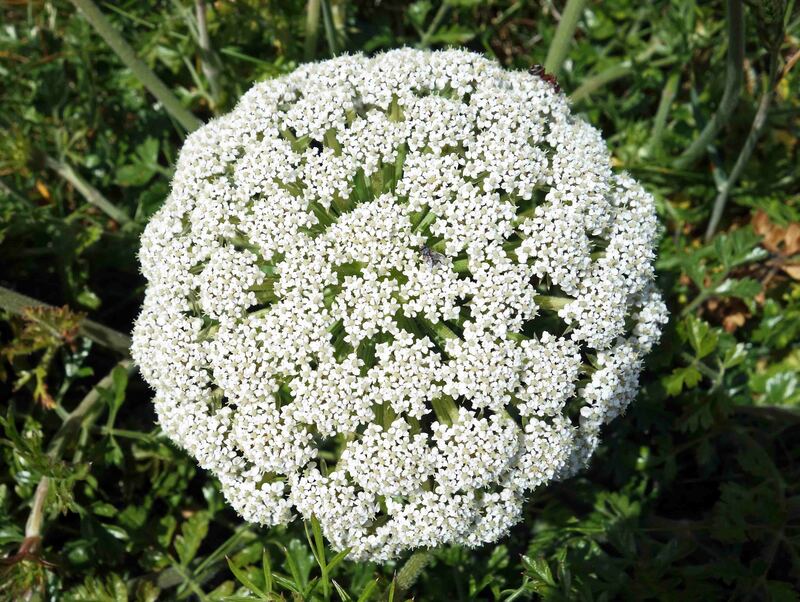 It’s hard to imagine a more aesthetically pleasing shape than this globe of tiny white flowers! Sea carrot (Daucus carota subsp. 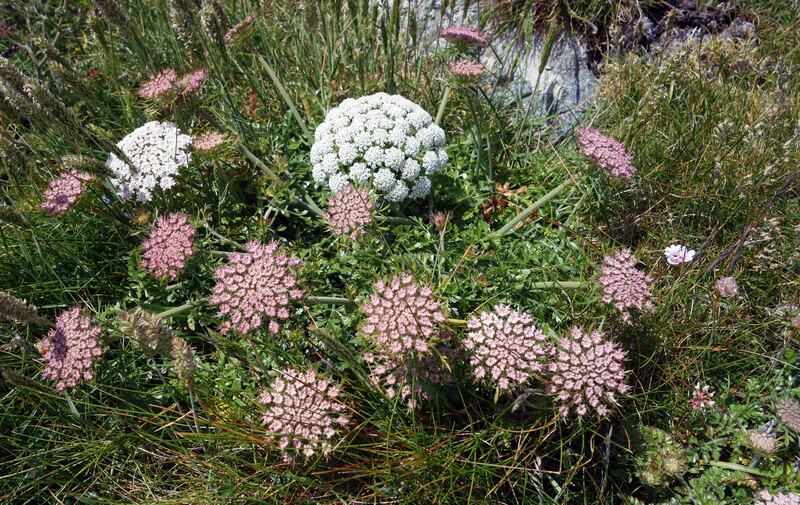 gummifer) is a subspecies of wild carrot; the central umbel is white and spherical, whilst the surrounding umbels are flatter and pink in colour. It almost looks like two different flowers growing side by side! I took these photographs on an attractive headland called Punta Corveira – between Cedeira and Valdoviño – in Galicia, Spain. Not to be confused with Punta Corbeira, near Ribadeo! Next Next post: Feeding on hemlock! Oh wow your blog is great 🙂 It is what I’m sort of trying to do. Now I have something to aim for. Ray Cannon's nature notes A carrot by the sea!